Colour engraving depicting the Battle of the Nile, 1st August 1798. Ships are depicted near midnight as the battle reaches its climax. 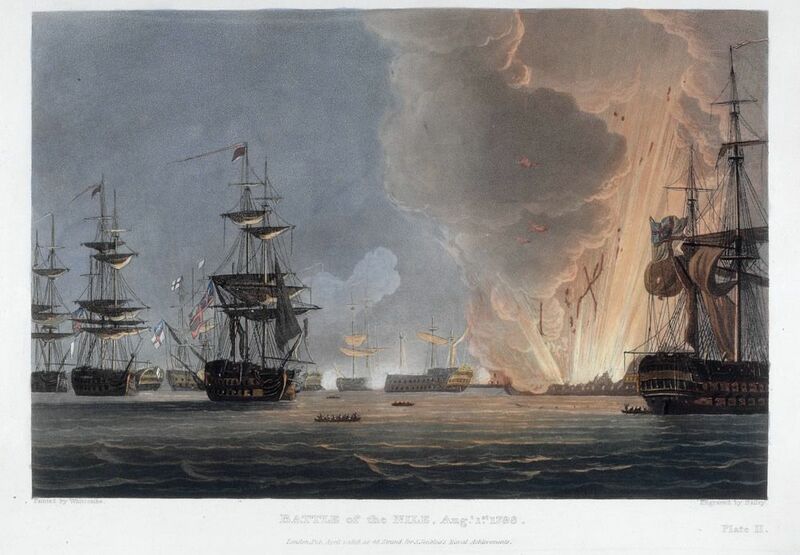 On the right the French vessel L'Orient is shown blowing up, pieces of debris flying high into the sky. This Battle of the Nile, August 1798 Art Print is created using state of the art, industry leading Digital printers. The result - a stunning reproduction at an affordable price.